Over the years, Warner Bros. idyllic Midwest Street set has stood in for a slew of fictional movie places, from River City, Iowa, in The Music Man to Stars Hollow, Connecticut, on Gilmore Girls. Located on the studio’s backlot, the quaint construct features a Colonial-style church, a row of storefronts, and a tree-lined residential street—everything that’s shorthand for safe, suburban charm. Of course, if horror cinema has taught us anything it’s that seemingly bucolic locales always have underbellies, and that’s true here from now through October 28. Just a few years ago, Horror Made Here was relegated to a small area of the studio tour’s Stage 48, which permanently features a rotating collection of props, costumes, and more from many of the studio’s iconic films and TV shows. On display at the time were horror-related items from the Warner Bros. archives: Annabelle from The Conjuring, a cracked door from Regan MacNeil’s bedroom from The Exorcist, costume pieces from the remake of A Nightmare on Elm Street, and a few other pieces of horror movie memorabilia. Since then, the Warner Bros. Studio Tour has been evolving into the October scare market. 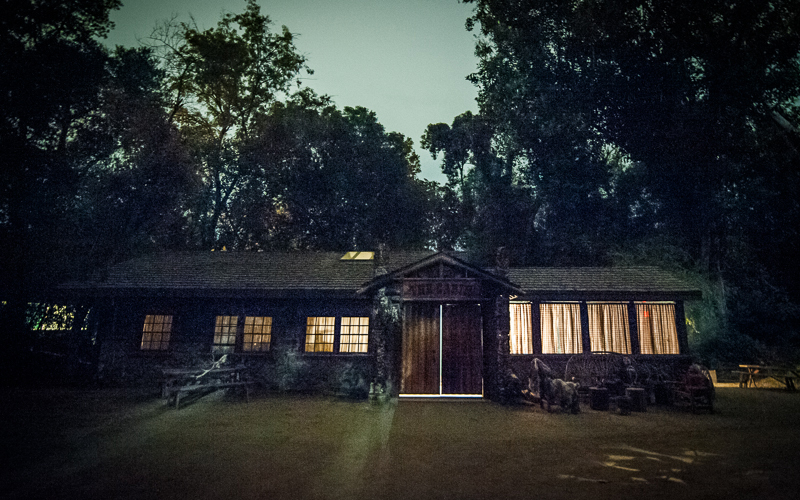 A nighttime tour of the studio lot quickly grew into full-blown horror mazes. 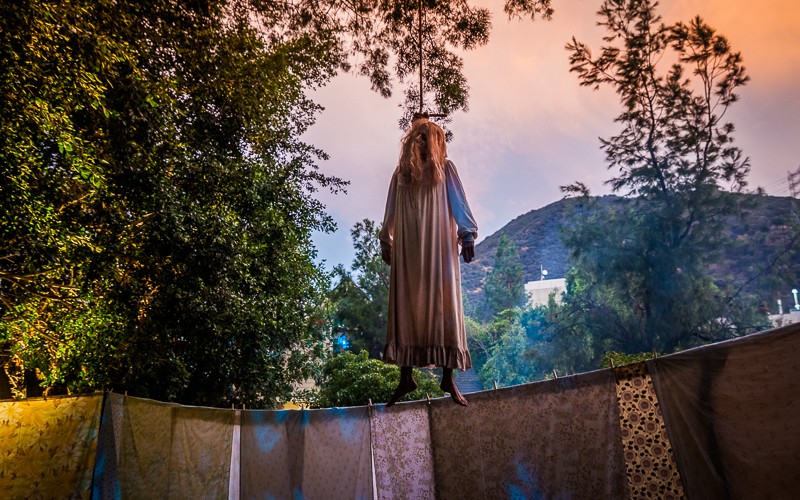 Last year’s creepy Neibolt House experience, which debuted on Hollywood Boulevard to promote the release of IT, was adapted on the backlot alongside attractions inspired by The Conjuring and A Nightmare on Elm Street. 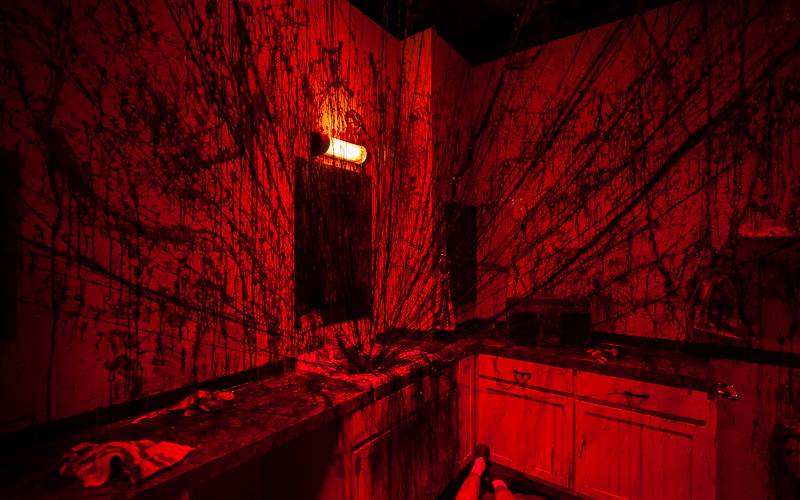 Though there are some familiar foes at Horror Made Here, the event has taken its next big step into the realm of L.A.’s haunted attractions with three brand new experiences. 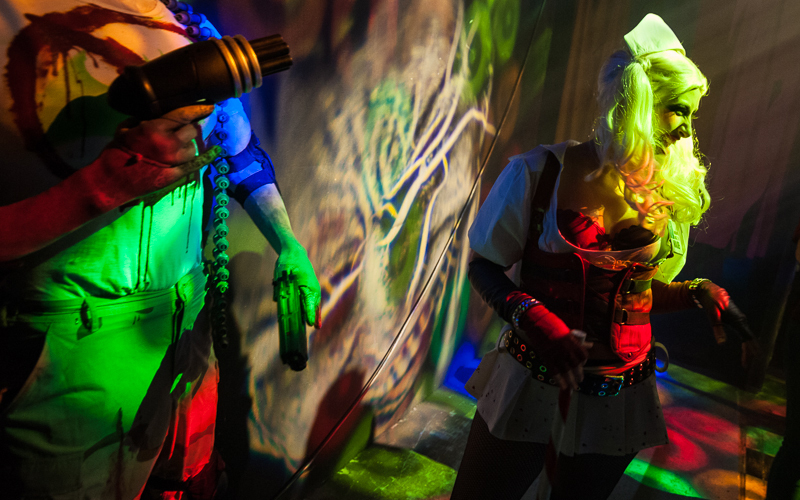 Midwest Street’s high school building has been transformed into a neon lit Arkham Asylum maze where you’ll encounter the vilest villains of Gotham City. It might not have the same outright scares as The Conjuring or IT mazes, but what it lacks in heart pounding shocks it makes up for with eye-popping visuals around every corner. Enter the ornately decorated town square church used in films like The Lost Boys and The Monster Squad for what at first appears to be just a selection of scenes from The Exorcist projected over the church’s altar. All we’ll say is that William Friedkin’s horror masterpiece jumps off the screen and possesses the church. 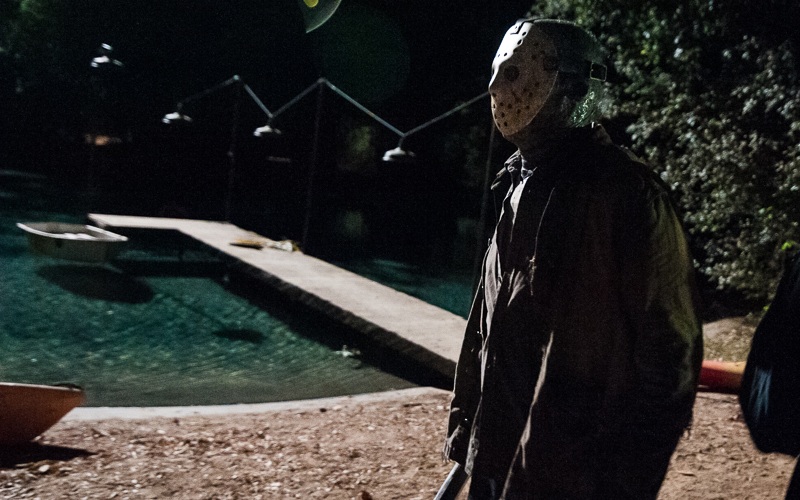 Upon arriving back at Midwest Street, you’ll be glad you survived Camp Crystal Lake and a celebratory drink might be in order. Stop by Fangtasia, which is based on the Shreveport, Louisiana, vampire bar from True Blood. There you can pick up a variety of cocktails, including a chilled Blood Bag (vodka, lemonade, grenadine, and cranberry in an IV bag). Stepping onto the historic Warner Bros. backlot is a treat no matter when you visit the studio, but what separates Horror Made Here from other haunted attractions is the way actual movie sets are being used in the way they were intended. Each house and storefront has been painstakingly adapted into the cinematic worlds that you enter, and that’s a Halloween trick worth experiencing. Horror Made Here: A Festival of Frights, Warner Bros. Studios, 6510 Forest Lawn Dr., Hollywood Hills; Fri.-Sun., Oct. 12-14; Thu.-Sun., Oct. 18-21 & 25-28. $79-$86.